From Linda Murphy of Woodburn, Indiana on 12/8/2017 . 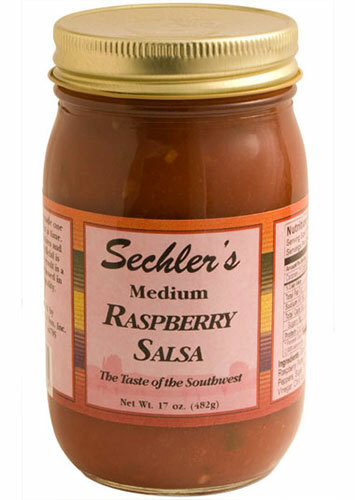 Always bring several jars of the Medium Red Raspberry Salsa with me to Florida and this year made the mistake of sharing at a function in RV Park, and then they wanted more, so called Sechler's Fine Pickles in St. Joe to have a cased shipped down and it arrived in a very timely manner and in excellent condition. Thanks, Sechlers for great service and making my RV friends Happy Campers. From Carol Castor of Broomfield, Colorado on 2/27/2014 . We love this salsa!!! Just wish we lived in the area so that we could stock up and not pay shipping, but we will be getting more in the future.